The time that Dickens describes is parallel to what we witnessed recently with the decision of President Donald J. Trump to make Jerusalem the capital of Israel. Not only such an irrational decision sparked anger worldwide, it spoke of an unsettling situation of Palestinians since the Balfour Declaration, which marked the beginning of Palestinians’ struggle. The British supported Zionism, thinking that it would gain Jewish support to aid the Allies. The idea of taking land from the Palestinians and giving it away to support Zionist movement is not new. 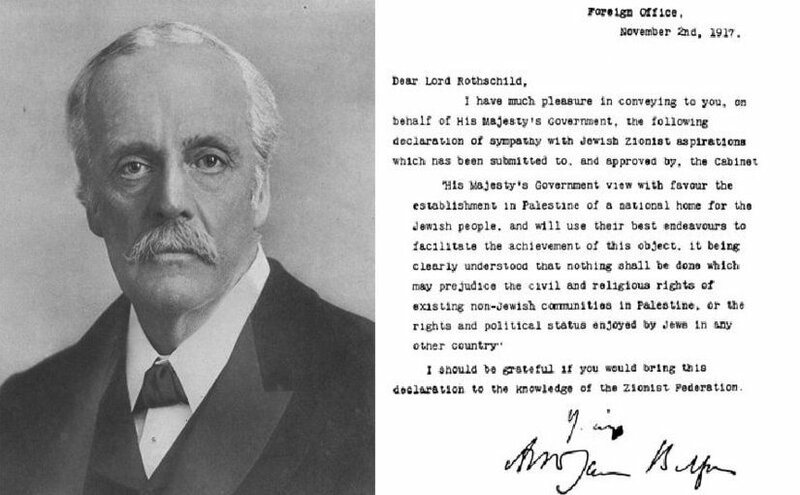 It directly stems from the Balfour Declaration. In 1931, David Lloyd George who was a British Prime Minister during World War I led the support of Zionism and made it a state policy in British Parliament. The abhorrent effects of British’s decision post World War I are seen to the present day in Palestine where Palestinians are isolated by a wall and given barbaric treatment at the hands of IDF soldiers. At the end of the World War I, British decided to give away the land and now Trump again decided to hand away Jerusalem to Israel meanwhile Israel had been displacing Palestinians from their homes. Trump is not the only accomplice in his decision. The negative effect of his statement was expected. The decision sparked global uproar. Trump’s absurd decision further confirmed that the US is, in fact, a modern colonial power that defies its own democratic ideals for its own benefit that it preaches otherwise to the world. The recent UN vote and the US threat to other nations for voting against the US prove two things: US influence on global politics that controls the political processes of another country and a threat of punishment for those nations that stand against Trump’s decisions. Keeping in mind the democratic ideals, majority vote triumphs over the word of a single person, especially the one with fascist or tyrannical tendencies; however, such was not the case. In the UN, 128 nations, which consisted of majority casted their votes against the Trump’s decision to make Jerusalem the capital of Israel. As a result, The US Ambassador to UN Nikki Haley made an open threat to 128 nations for not supporting the US decision. “The United States will remember this day in which it was singled out for attack in this assembly. We will remember it when we are called upon to once again make the world’s largest contribution to pay even more and to use our influence for their benefit” stated Haley. Trump words reiterated what Haley expressed, “Let them vote against us. We will save a lot.” This demands no other form of interpretation, but one. It commands the world to nod their head with the US or suffer whereas democratic principles counter this form of thinking. This form of raw power to control the destiny of another nation sheds light on Palestinians’ struggle who have been struggling for basic rights since the Balfour Declaration. Trump’s recent decision now adds to the misery of Palestinian people while giving Zionist movement another green light to commit further crimes against the Palestinians. The crimes against the Palestinians are not hidden. The evidence against Israel’s government and the IDF soldiers is in abundance yet such evidence is buried under the Western-led political rhetoric and media-led rhetoric that labels Palestinian resistance as terrorist activity. Daily, the news appears from reporters who visit the Gaza Strip and daily, the footage of IDF soldiers appears on social networks, showing the extreme level of brutality against the Palestinian. “The media also repeats the “terrorist” stereotype when reporting on any act of Palestinian resistance against the Israeli occupation, thus painting the Palestinians as inherently violent and acting ahistorically” writes Zeina Azzam in her “Israel as Oppressor, Palestine as Oppressed: The ‘normalization’ of what is not normal.” Zeina Azzam is an editor for Arab Center Washington, DC. Azzam further discusses that this rhetoric has become so normal that many nations and many organizations around the world accept Israel’s aggressive approach as “normal,” and the normalization of Israel’s behavior is always associated to its biblical legitimacy. Furthermore, the political debates and the public discourse always renders Israel as the victim that is surrounded by monsters. Let us not forget the words of Ayelet Shaked, the Israeli parliamentarian who called the Palestinians children as “little snakes.” Shaked went further to declare that “Who is the enemy? The Palestinian people. Why? Ask them, they started.” Israel’s state policy has remained the same where Israel has constantly shifted the blame on Palestinians from the day Palestine was occupied. Following Shaked’s statement, Khudair, a Palestinian was kidnapped from Al-Qudus and burned alive by Israeli individuals. As recent as December 2017, Oren Hazan who is a right-wing member of the Israeli Knesset (parliament) was recorded live shouting and verbally abusing the Palestinians in a bus who were heading to visit family members that IDF had arrested. Hazan’s words prove the horrors that Palestinians face daily. It shows the hostile approach of Israel towards the Palestinian natives. Hazan shouted in the bus, “We will kick you out of here. Those scumbags, those garbage, dogs that sit in our prisons that you call family, they will never see daylight. And as long as I’m a member in this Knesset, I will do the best I can to change the law so you cannot visit here.” This is the worse form of oppression that has been inflicted on the Palestinian citizens. As one can imagine, this form of rhetoric shatters any hopes of supposed peace talks when Israeli government approach is contrary to any peace talks. It is a war waged against the innocent Palestinian civilians who have been morally, physically, and socially marginalized in their own homelands. In fact, the situation is beyond marginalization of Palestinians. It is a complete takeover with one firm approach, which is to fully torture the Palestinian population. Any effort the Palestinian citizens make against Israel’s aggression, the Palestinians witness the world abruptly labeling their resistance as a terrorist activity. The reality of Israel-Palestine’s matter is that Israel is the oppressor and the Palestinians the oppressed. The Amnesty International reports in “Israel and occupied Palestinian territories 2016/2017” that “Israeli forces unlawfully killed Palestinian civilians, including children, in both Israel and the Occupied Palestinian Territories (OPT), and detained thousands of Palestinians from the OPT who opposed Israel’s continuing military occupation, holding hundreds in administrative detention.” This is just the beginning of the report. The report, moreover, shows that torture and horrific treatment of Palestinians is done with “impunity.” As mentioned earlier, all evidence renders Israel as the oppressor. The Amnesty International report best sums up the takeover of the Palestinian homeland by concluding “The authorities continued to promote illegal settlements in the West Bank, including by attempting to retroactively ‘legalize’ settlements built on private Palestinian land, and severely restricted Palestinians’ freedom of movement, closing some areas after attacks by Palestinians on Israelis. Israeli forces continued to blockade the Gaza Strip, subjecting its population of 1.9 million to collective punishment, and to demolish homes of Palestinians in the West Bank and of Bedouin villagers in Israel’s Negev/Naqab region, forcibly evicting residents.” This follows the excessive use of force that Palestinians do not deserve in any way; however, the reality of the Palestinian citizens is to walk the streets with the worry that a sniper or an M-16 may be pointed at them from any corner of the street where IDF soldier may be deliberately waiting to release the trigger. Prominent individuals like her and many journalists from around the world have visited Palestine and have highlighted the shock they faced from what they witnessed. It was nothing pleasant. It showed the reality contrary to what Israeli lobbyists and what Israel’s Prime Minister Benjamin Netanyahu speaks of each time he appears in US Congress and the UN. Dickens’ words are a true fit for the time we are currently living in. The honest and innocent are painted liars and the liars have taken the stage to play victims. In this case, Israel needs to stop playing a false victim. It is the Palestinians who are the victims of Israeli barbaric rhetoric and cruel aggression. The world needs to come together and accept the reality of Palestinian struggle. The International community must recognize the suffering of Palestinians have no basic human rights. Despite what the larger international community believes about the Palestinians, the Palestinians try to show what each Palestinian native is going through. The truth reveals itself; hence, the daily footage appears of how IDF soldiers use lethal weapons and deadly tactics against the Palestinians. Leaving young Palestinians to bleed to death, bombing Palestinian housing, arresting innocent civilians, evicting them from their own houses, and giving them no sound representation before the international community clearly proves that Israel’s approach is not peace talk but complete annihilation of Palestinian people. The International community that assembles at the UN needs to implement real and strategic solutions that stops Palestinians from a genocide. Rather than giving a stage to the Prime Minister Benjamin Netanyahu, the international community needs to hear from the Palestinians. It needs to recognize the Palestinian resistance. Also, the international community needs to recognize that Balfour Declaration was a complete injustice against the Palestinians and has been costing Palestinian lives since the day British executed the Balfour Declaration. The reports that come from Independent forums and major organizations like Amnesty International need to be taken seriously and need to be ready to stop the horrors that Palestinians face daily. Rather than allowing injustice to prevail, human race that consists of multi races, religions, and nationalities, empathy, just governance, and an equal opportunity needs to remain the core agenda of the internal community because the innocent civilians pay with their lives from the decision and the course major bodies like the UN and the NATO takes. Palestinians need help, require safety, and justly demand that their Holy site be protected. The international community needs to understand and recognize from the words of Israeli parliamentarian that Israel does not want peace. It wants a homogenous society of its own, wrongly justified by using biblical texts. The international community needs to stand up for justice and it must for the innocent Palestinians. Good afternoon Dr Ahsan Kazi. I read your very interesting article. Apart from the Charles Dickens very appropriate citation, you repeat what others have said and written. You review what we all know. Written in different prose, but nevertheless the same citations of Israeli aggressive behavior. I object to long articles. All the articles pertaining Palestinian oppression by the Israel are very long. No one cares to read long articles. Everyone prefers the twitter mode. It occurred to me that it would be more effective if you compose several articles and in each short, brief article you place the Charles Dickens citation followed by one vividly concrete example of one act of Israeli aggression in occupied Palestine. Burning of the young Palestinian to death. Killing the three bothers on the Gaza beach. Maiming and then killing the 33 years old Palestinian. The holocaust is constantly flung at us in short, repetitive, never ending articles. For 70 years. And those who survived the holocaust are interviewed, cajoled, praised, recycled forever. Not one day passes without the holocaust being invoked in vivid horror. The Israelis learned from the Nazi and we should learn from the Israelis. We adopt the same tactics that have turned the holocaust into the best known word in the universe. Thank you for the great feedback. You made excellent points. I will keep all the points in mind when writing the next article.